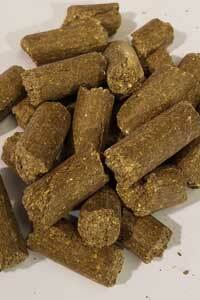 Below you find information on our bagged swine feeds for growing pigs, maintenance rations for sows, and show pigs. All items are in 50 lb bags. 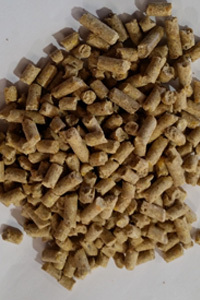 Feed free choice as a starter feed to piglets. Provide fresh clean water at all times. Pig candy is based on soybean meal and grain to achieve the high energy and protein levels that piglets need to get off to a good start. 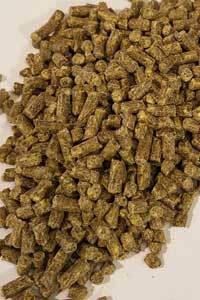 This feed is fortified with a vitamin and minerals pack formulated for swine. Feed free choice to weaned pigs. Provide fresh clean water at all times. 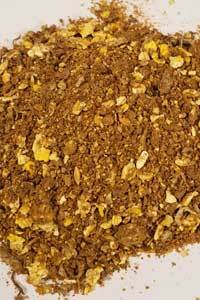 This feed is similar to the Pig Candy but contains a slightly more corn and less soybean meal. Fortified with a vitamin and minerals pack formulated specifically for swine. Feed sows in gestation at a rate of 4lbs per head per day. Feed free choice to sows in lactation. Provide fresh clean water at all times. Easy to feed on the ground or in a trough. 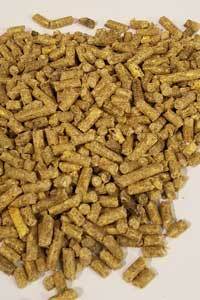 Our Brood Sow Cubes are high in protein & energy for pregnant and lactating sows. Features Vitamin A at a rate of 2500 iu/lb. 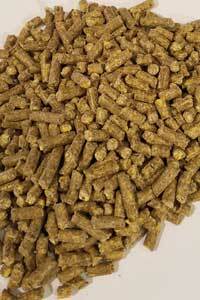 As with all our swine feed products, this feed is fortified with a vitamin & minerals pack formulated specifically for swine. Feed free choice to finisher hogs. Provide fresh clean water at all times. During this last stage, the protein content is lowered to 14% to make room for additional grain for finishing the hogs and getting them ready for market. The high levels of grain finish the hogs efficiently. Fortified with a vitamin and minerals pack formulated specifically for swine. Feed free choice to show pigs. Provide fresh clean water at all times. 18% protein through expeller soybean meal. 4.5% Fat through a blend of plant oils which includes Omega 3 & 6 Fatty Acids. Diamond V Yeast© - for increased digestability and improved digestive tract function. Tasco© - All natural kelp meal, lowers body temperature, slows metabolism, greatly boosts immune system, optimizes digestive tract function, reduced health problems for stressed animals. Added A, D, E, & B complex vitamins. Yucca - all natural Anti-Inflammatory. Chelated Minerals - chelated minerals are bound to amino acids and are more readily absorbed in the animal. High in Protein, Fat, and Digestibility with No Filler. A textured blend of ground and flaked corn, soybean meal, beet pulp, and a few other ingredients mixed with molasses. Fortified with a vitamin & minerals pack formulated specifically for swine.